Heart motifs are always on brand, but with Valentine's Day upon us, we have really fallen in love with them this issue. 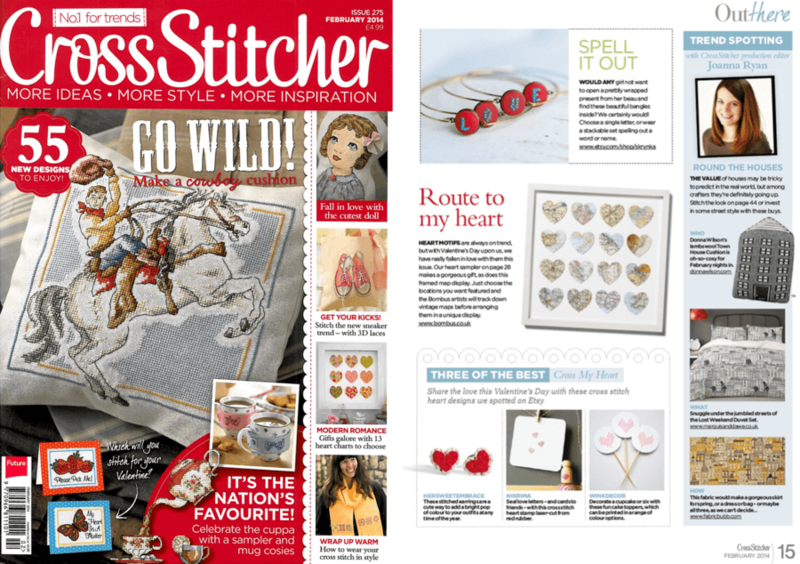 Our heart sampler on page 28 makes a gorgeous gift, as does this themed map display. Just choose the locations you want featured and the Bombus artists will track down vintage maps before arranging them in a unique display.